Terre Haute, IN. 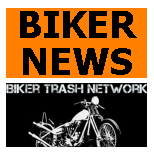 (April 1, 2017) – An earlier fight or beating at the Diablos Motorcycle Club apparently led to a shooting Thursday evening near the group’s clubhouse on Eighth Avenue between 26th and 27th streets. 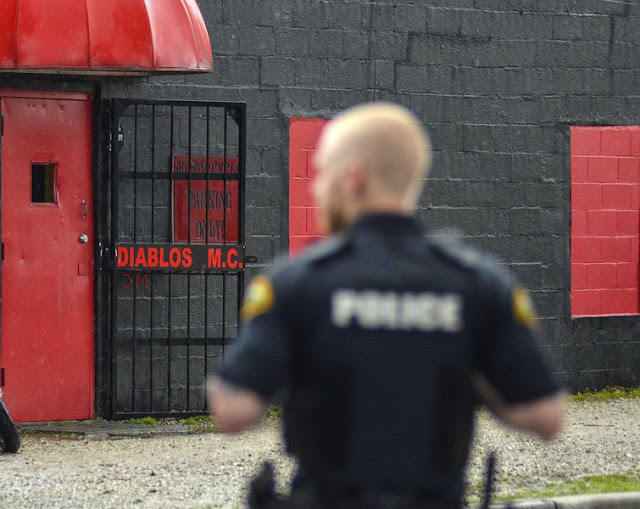 In a court hearing Friday, Terre Haute Police Department detectives Keith Mowbray and Brad Rumsey testified witnesses gave information about a running altercation Thursday between the shooting victim — 54-year-old Kenny Pitts — and members of the Diablos MC. 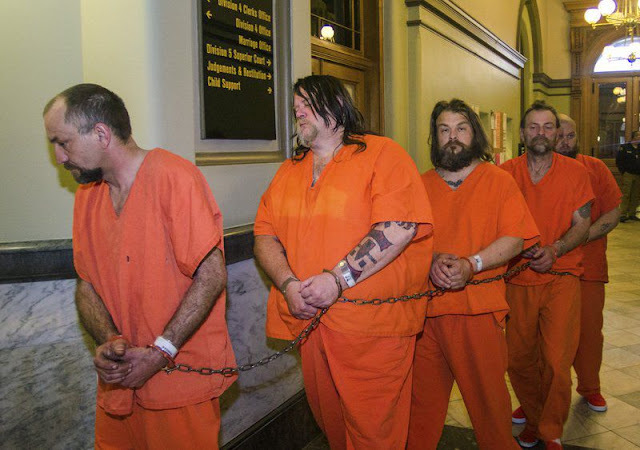 The cops also said members of the motorcycle club also tried to cover up evidence. Mowbray said Pitts suffered two gunshot wounds and was in critical condition at an Indianapolis, Indiana hospital. • Brian Gosnell, 45, Terre Haute; aggravated battery, criminal gang activity, obstruction of justice; $75,000, no 10 percent allowed. • Jack W. Schultz II, 57, Terre Haute; aggravated battery, criminal gang activity, obstruction of justice; $75,000, no 10 percent allowed. • Corrie E. Robinson, 32, Terre Haute; assisting a criminal, obstruction of justice, criminal gang activity; $50,000, no 10 percent allowed. • Vernon Cheesman, 52, Brazil; assisting a criminal, obstruction of justice, criminal gang activity;$50,000, no 10 percent allowed. • Jeremy M. Yates, 40, Clinton; assisting a criminal, obstruction of justice, criminal gang activity;$50,000, no 10 percent allowed. Mowbray said witnesses told officers that Pitts had been at the clubhouse earlier on Thursday and had battered someone there. He also reportedly uttered threats against the club’s president before leaving in a red Pontiac Firebird. Mowbray cited multiple witnesses in his testimony, and he said those people asked to remain unnamed in police reports for fear of retaliation. The detectives said Pitts later returned to the area of the clubhouse with two other people in the car. A witness in the car said Pitts wanted to fight someone, Mowbray told the court. 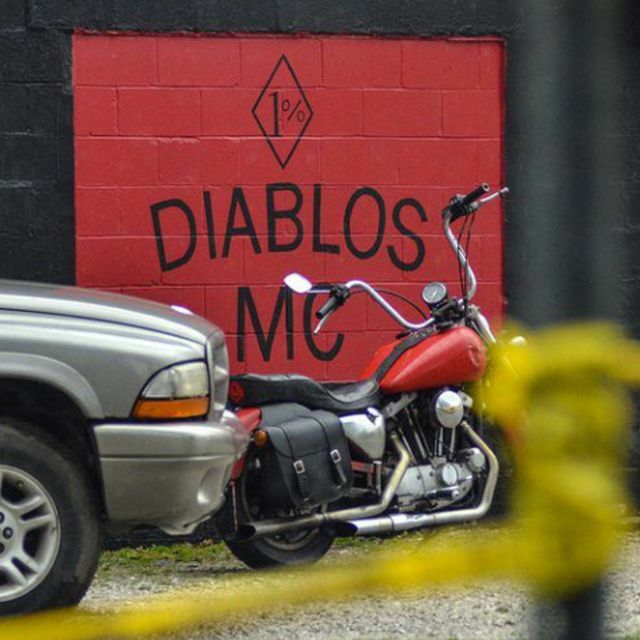 Pitts was reportedly doing burnouts in the street outside the Diablos MC clubhouse shortly before 6 p.m. when club members came outside because of the commotion. When Pitts sped past the clubhouse driving erratically and jumping the curb, gunshots rang out, a witness told police. Pitts turned and drove up 27th Street and stopped the car at Beech Street, where he fell out of the vehicle. Mowbray said a witness at a nearby convenience store told police he heard two gunshots, followed by five or six more gunshots. A person in the car said she was struck by broken glass from two gunshots, Mowbray testified. 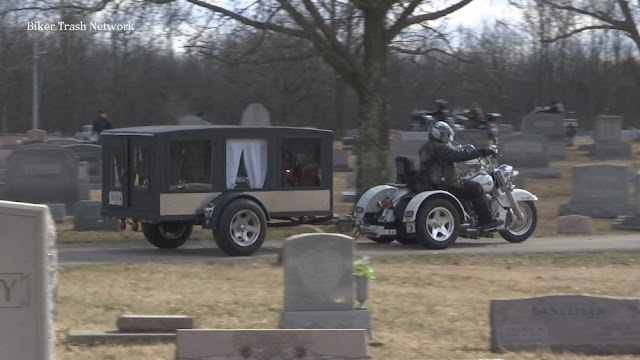 Witnesses also reportedly told police they saw members of the motorcycle club picking up shell casings, and two guns were taken from the clubhouse area to a nearby property and hidden in a shed. Rumsey said he sought search warrants, and police located two guns and shell casings in a locked shed. Some of the shell casings were .40 caliber, and some were 9 millimeter, Rumsey said.